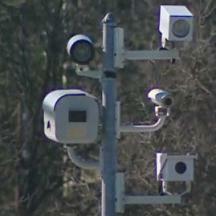 Several speed camera bills have cleared a hurdle in legislative committees. HB396 (to allow them in Baltimore), HB1023 (Prince George's County), HB1314 (Howard County) were all voted "Favorable with amendments" in the House of Delegates Environmental Matters Committee, clearing the way for a floor vote. Bill 1023 may be the most disturbing of the three, since it includes authorization on "Primary Highways". Some Prince George's County towns have demonstrated their intention to charge a "commuter tax" by taking it on themselves to use red light cameras to ticket motorists who come to a full stop at intersections. The Howard County Delegation rejected an amendment which would have made HB1314 the revenue neutral before submitting it. HB1314 was sponsored by a 6-3 vote in the Howard County Delegation, with all democrats voting in favor and all republicans against. ALL of these bills affect anyone who sometimes visits these locations and are a concern to those who care about the integrity of our justice system and individual liberty. In the senate, SB277 (statewide authorization) was voted "Favorable with Amendments" by the Senate Judicial Proceedings Committee. Two amendments were added first. If you haven't already done so, WRITE TO YOUR STATE LEGISLATOR NOW. You can find links to their contact information, and how they voted on speed camera bills in 2008, on our Legislative ScoreCard-- where we will be uploading the names of those who vote for this year's legislation. There is a sample letter on our action page, but all your representatives really need to know is that if they support the expansion of speed cameras they will lose your vote.